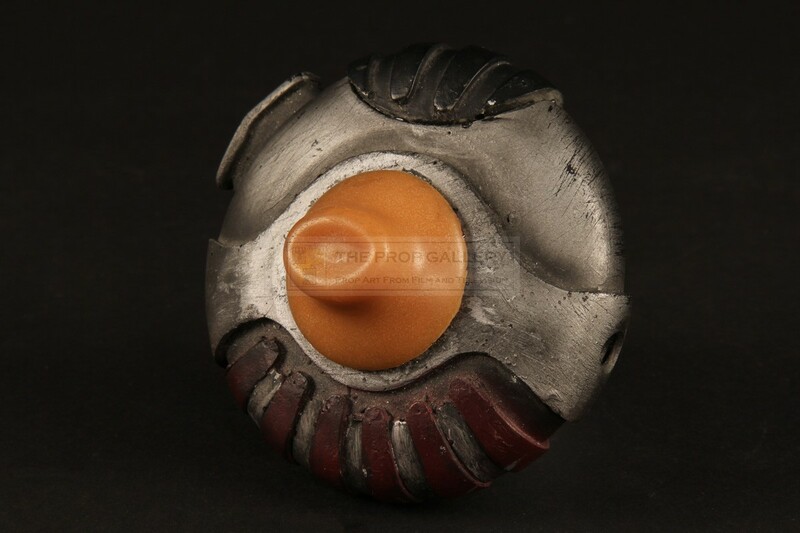 An original prop used in the production of The Chronicles of Riddick, the 2004 science fiction adventure picture starring Vin Diesel. 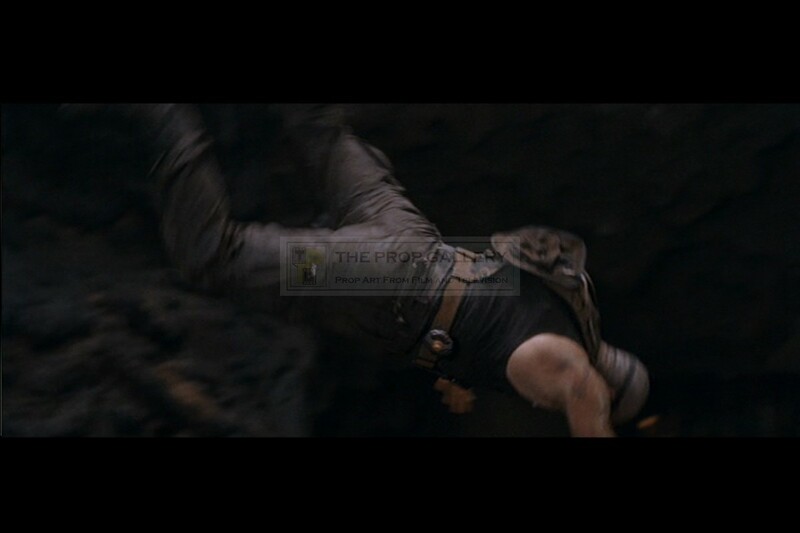 This is one of the original prop breathing devices as worn by Vin Diesel as Riddick which can be seen on his belt in numerous scenes of the movie. Constructed from extremely dense solid rubber the prop features a yellow mouthpiece to the top with black and red grips to the sides and a non functional button to the edge. 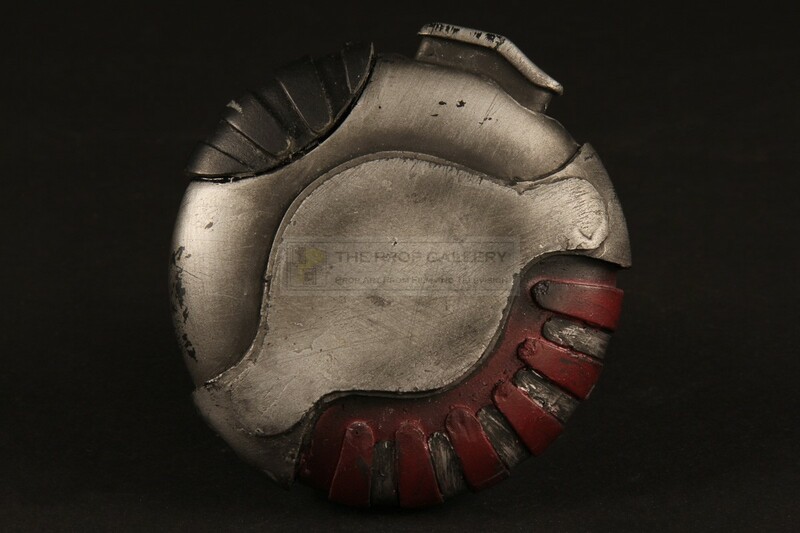 The device is finished with a weathered silver paint finish giving a metallic appearance. 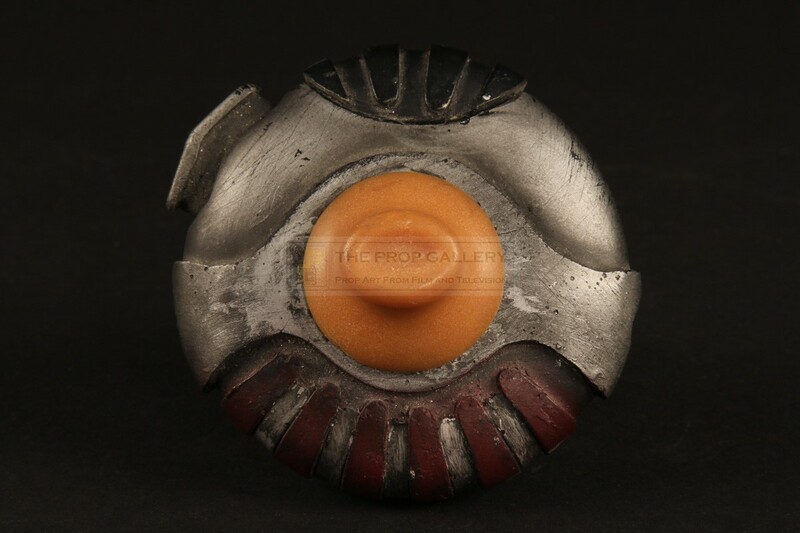 Although differing versions of this prop were created and used by the other convicts this can be identified as Riddick's due to the location of the mouthpiece being in the centre of the device rather than the edge. A highly displayable artefact from this cult franchise.